Biography: Apostolic and Prophetic Finish Ministries Uganda began in 1999 as a church named Divine Finish Centre, meeting under a rented mango tree. As the ministry grew, David was led to begin equipping the saints for the work of the ministry in different places without being limited by denominational differences. 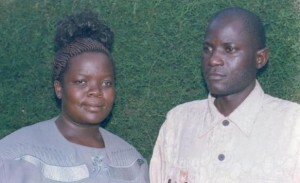 David and Agnes have planted churches in villages that had been unreached for God. The vision of the ministry is to have a multi-faceted Kingdom institution that has great impact over systems and communities by expressing kingdom culture, standards, and values. Strengths: David moves in the office of an apostle using the gifts of prophecy, word of knowledge, and healing.